Ranveer interacted with the media at the trailer launch of "Simmba", along with his co-actors Sara Ali Khan, Ashutosh Rana, Sonu Sood, and Siddharth Jadhav, as well as producer Karan Johar and director Rohit Shetty here on Monday. Sharing his experience of working with Shetty and Ajay Devgn in "Simmba", Ranveer said: "I have been a huge fan of Rohit Shetty sir since the beginning. He has made some of the greatest commercial cinema that we have ever seen. 'Golmaal', 'Singham' and 'Chennai Express' are some of my favourite films of all time." "I have grown up watching Ajay sir's films. He is one of my favourite actors and my screen idols. He is a legend. So, to be sharing screen space with him is nothing short of a dream for me. Working with him was so refreshing and he is such a down-to-earth, grounded and chilled out person. I had the most wonderful experience and (carry) fond memories in my heart forever." 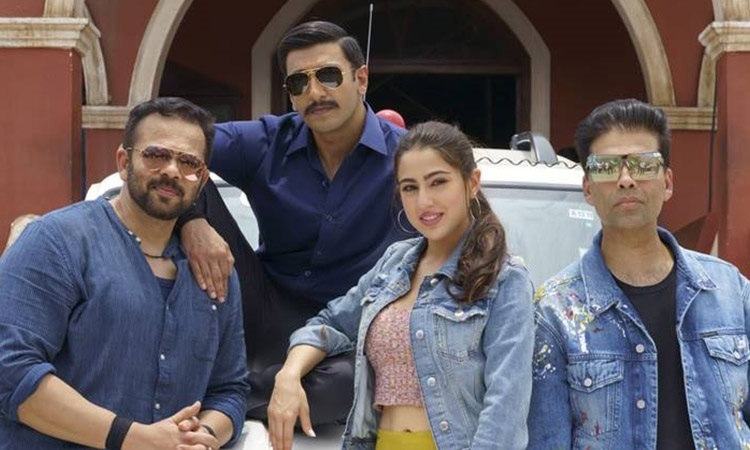 "Simmba", releasing on December 28, is produced by Reliance Entertainment and Dharma Productions.